...gold and silver options also available. ...and we are pleased to announce the new Yamaha CX5000/MX5000 combination, now on permanent demonstration at our Manchester store. 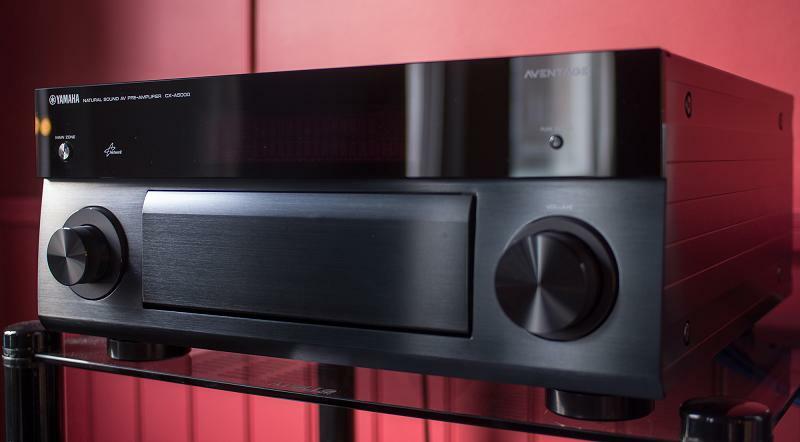 Home Cinema Choice magazine recently gave the CX/MX duo "reference status" no mean feat as the previous Yamaha DSP-Z11 held that moniker with many audio visual publications. Yamaha also utilise the H-frame to strengthen the chassis with a fifth foot to keep everything stable. The fifth foot, clearly visible below, helps to stabilise the huge transformer which is positioned right above it. 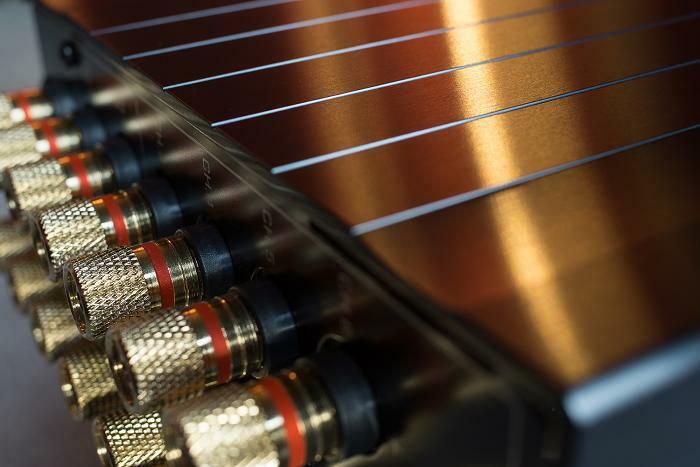 The MX-5000 power amp with it's top off. As you can see the large toroidal transformer and the high capacity (27000uf) block capacitors are positioned close to the centre. The brushed aluminium side panels look absolutely gorgeous. You can maintain nightvision via the backlit remote. Need more info ? Check out the links below. Really want the low down on this behemoth, come along to the Manchester store for in depth product advice and a demonstration. Call or email Munir,Kevin,Dave or Mike to book a slot.